Thomas Harrington known as Tommy was the son of Ivy Harrington of Phillips Field, Great Cornard. It is believed that he ran away from home and enlisted with the Royal Marines. Before enlisting Tommy was employed in the stores at Arlingtons, Cornard Road where Underwoods the car dealers are located today. No. 45 Commando was formed on 1st August 1943 and was part of 1 Special Service Brigade under the command of the Airborne Division during the invasion of Normandy on 6th June 1944 – ‘D Day’. They landed on ‘Sword Beach’ with the task of capturing the port of Ouistreham and then linking up with the airborne forces at the Caen Canal Bridge later renamed ‘Pegasus Bridge’, where airborne troops had landed just after midnight on 6th June by Horsa glider and where the Café Gondreé was the first French building to be liberated. The Brigade suffered heavy casualties with more than 50% injured, killed or missing. Tommy died on 20th August 1944. 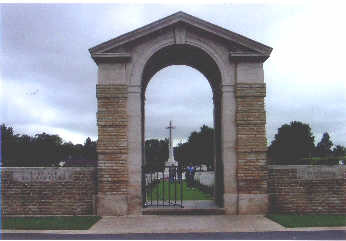 He lies buried in Ranville War Cemetery located in the village of Ranville, a short distance from Pegasus Bridge. 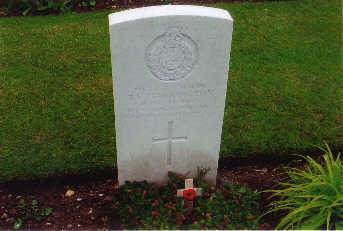 A Cross of Remembrance was laid by his grave by Mr. Ray Chaplin during a visit in May 2004.